One of the things that surprised me about The Republic for Which It Stands, Richard White’s volume on Reconstruction and the Gilded Age in the Oxford History of the United States, is how large Lincoln’s shadow looms over the whole book. The previous volume in the series, James McPherson’s Battle Cry of Freedom, ends with Lincoln’s assassination. White picks up the story with his funeral, and many of the issues he brings to the fore in the body of the book are those in which Lincoln was deeply invested: the trans-Mississippi West as a haven for free labor, national unity reinforced through infrastructure, the fate of African Americans, the ascendancy of the Republican Party, and the struggle to build an egalitarian society of independent producers. “Abraham Lincoln: The Martyr President,” by Currier and Ives. Library of Congress (LC-DIG-pga-03167). These problems that dominated American life in the late nineteenth century lay at the heart of the “Greater Reconstruction,” a term White borrows from Elliott West. The end goal was to propagate homogeneous, prosperous communities of free and independent householders—communities much like Lincoln’s own hometown of Springfield, Illinois. Springfield, White claims, was “as close as any actual place could be to the template that the North planned to use in recasting the South, as well as the West” (p. 136). But White’s book is also an account of disillusionment. At the end of the story, the Greater Reconstruction has failed. Since the tale begins with Lincoln’s death and revisits so many of the problems he supposedly resolved, the Greater Reconstruction’s failure raises troubling questions about Lincoln’s legacy. Did Lincoln succeed? To most Americans, the answer is self-evident. The Union triumphed, the nation remained united, and legalized slavery came to an end. Lincoln himself died, but he died a martyr, having completed what he called “the great task” of reaffirming the American promise. But all this assumes that the story ends in April 1865. Anti-slavery Whig and eventual Republican that he was, Lincoln idealized free labor. He considered it a stepping-stone to becoming an independent producer. “There is no permanent class of hired laborers amongst us,” he once said. “The hired laborer of yesterday, labors on his own account to-day; and will hire others to labor for him to-morrow.” Slavery’s end marked the destruction of one great obstacle standing in the way of this ideal of self-advancement. But for many Americans, the path to full independence and sufficiency remained closed. The late nineteenth century witnessed some of the most bitter and violent contests between capital and labor. Contract labor during Reconstruction and the Gilded Age may have been “free,” but in many cases it remained exploitative, and hardly a temporary way station on the road to prosperity and independence. Nor did the end of slavery mean realization of racial equality. 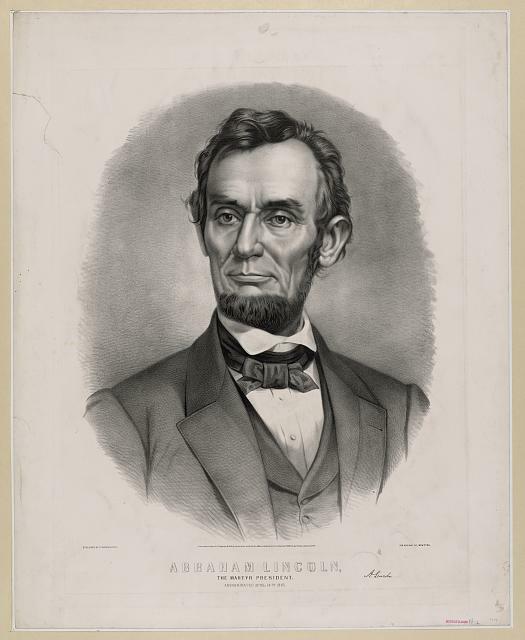 We think of emancipation as Lincoln’s most enduring legacy. But subordination of African Americans by means of terrorism, economic dependency, and legalized inequality continued into Reconstruction and the Gilded Age. It’s more difficult to celebrate the “new birth of freedom” Lincoln proclaimed at Gettysburg when you consider the reversals that came after. As a Whig, Lincoln envisioned a united nation bound together by transportation and trade. And as a Republican, he wanted the West to be settled by free laborers and landholders. Here, too, White and other historians have painted a bleak picture of the decades following the Civil War. Secessionism collapsed, but sectionalism persisted. The transportation networks and markets that Lincoln and other Whigs had long wanted penetrated more deeply into the American landscape than ever before, but White claims that the late nineteenth century’s great railroads were more effective at forging interregional links than truly transcontinental ones. And while the Civil War settled the question of whether the West would be slave or free, the period after the war saw much of the frontier engrossed by monopolists and speculators rather than egalitarian homesteaders. The upshot here is that if you use 1865 as the end date for the “Age of Lincoln,” then Lincoln was a victorious martyr. But if you use 1877 or 1898 as a terminal point, his success comes with important qualifications. Should we make space to deal with the problematic nature of Lincoln’s short-term legacy when telling his story in exhibits, documentaries, and popular books? On the one hand, it might help address Americans’ amnesia about Reconstruction. On the other hand…well, the idea of the victorious martyr (shot on Good Friday, no less!) is about as compelling as you can get from a narrative standpoint. But I think there’s a sense in which the reversals and the unfinished business that followed Lincoln’s death doesn’t diminish his historical stature, but magnifies it. If it’s true that the “great task” wasn’t completely finished in 1865, it’s also true that it’s not completely finished today. And that makes the study of Lincoln and his legacy much more relevant than it would be if we could wrap the whole thing up with a bow and relegate it to a chapter of our history long since closed.